Everyone knows about the beautiful beaches of Florida, the world-famous amusement parks and lively nightlife found in the big cities across the state. However, sometimes the typical tourism destinations aren’t enough to satisfy the need for adventure and discovery. 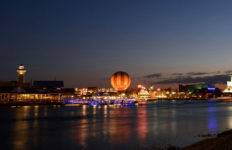 If a trip to the beach or amusement park starts to feel like déjà vu and you find yourself craving a new and refreshing travel experience, then check out this list of unique attractions in Florida. The mystery behind the beautiful stone sculptures at Coral Castle is what makes this location such an intriguing attraction. Edward Leedskalnin carved 1,100 tons of coral rock from 1923 to 1951 in the cover of night during a time with no modern construction techniques. Even more mysterious, there is not a single witness to his labor as he claims to have worked alone. Curious visitors can explore stone sculptures, stone rocking chairs and even a stone telescope. 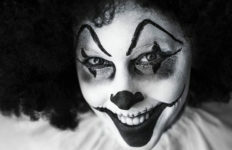 Cost of admission is $15 for adults. The Venetian Pool is unlike any other in Florida. Built in 1923 out of rock quarry used to border the swimming hole, it uses 820,000 gallons of natural spring water fed from an underground aquifer and is filled and drained daily during the spring and summer seasons. The area is accentuated with a Venetian theme which includes two scenic waterfalls, grottos that look like hidden caves, beautiful loggia galleries, looming porticos and a signature Venetian bridge. The pool is open from March to October and rates range from $4.50 to $13 per person. 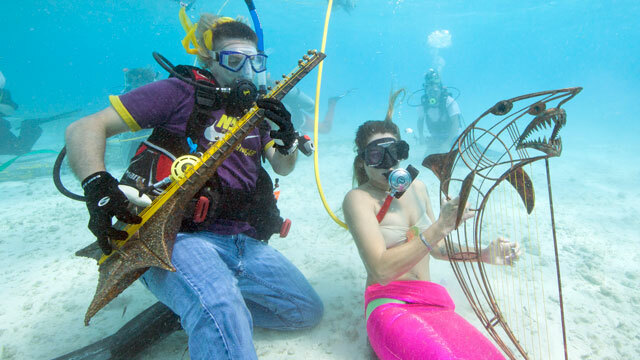 Snorkelers and divers rock out to an artist’s rendition of marine-themed musical instruments in the Florida Keys National Marine Sanctuary off Big Pine Key. 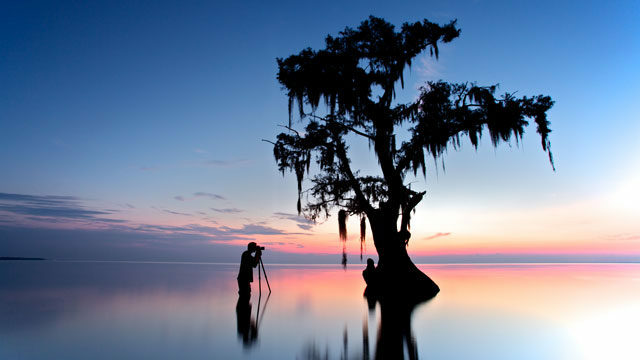 Photo Credit: Bob Care/Florida Keys News Bureau. Calling all mermaids! The 32nd annual Underwater Music Festival sponsored by the Keys radio station US1 104.1 FM will take place off of Looe Key, this Saturday, July 9. Participants can swim in the world’s third largest coral barrier reef to support environmental awareness. The event features maritime themed music piped underwater with songs such as the Beatles’ “Octopus’s Garden” where aquatic-costumed swimmers pretend to play quirky underwater instruments. 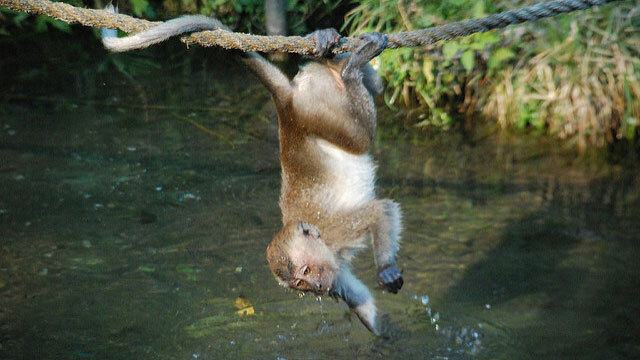 Southeast Asian Java Macaques playing in Monkey Jungle’s natural swimming pool. Photo Credit: “Monkey Jungle, Miami” by Humberto Moreno/ CC BY. This attraction’s slogan is “Where humans are caged and monkeys run wild!” Visitors can walk inside cages made for humans while viewing these wild creatures in their natural habitat as they play in the monkey swimming pool, watch orangutans hang from trees and witness gorillas interact with zookeepers. The park also features a sanctuary housing rescued birds that have been displaced or can no longer be cared for by their owners. Admission rates range from $23.95 for children to $29.95 for adults and the park is open year-round. Located on the Suwanee River, this tourist spot was born years ago as a popular neighborhood swimming destination. Owner Bob Hawkins’s children began inviting their friends to play in the river behind their house and soon everyone was joining in the fun. Over the years he installed a rope swing, homemade water slides, rolling logs, hammocks, picnic areas and floating rafts. Now open to the public, he charges a reasonable $25 per car load (not per person) so that everyone can enjoy his little piece of homegrown paradise. 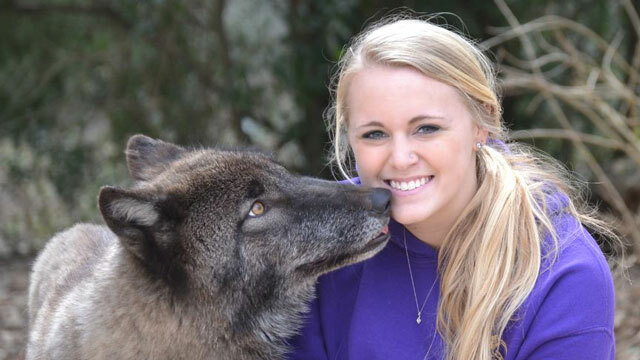 Holli Johnson, granddaughter of Seacrest founder Cynthia Watkins, has rare, wolf-human interaction with a British Columbian Wolf ambassador named Baby Chaco. Seacrest offers one of the rarest opportunities in the world for wolves and humans to connect in nature for educational purposes. Dance with wolves at this interactive animal preserve where humans can look beyond cages and glass windows. Seacrest, a non-profit organization dedicated to wolf preservation through education, offers one of the rarest opportunities in the world to meet face-to-face with a purebred. Visitors can touch and take photos with the wolf ambassador animals and even cuddle with pups. A small animal adventure with skunks, raccoons and foxes concludes the end of the tour. Such a unique opportunity is priced at $15 for children and $25. 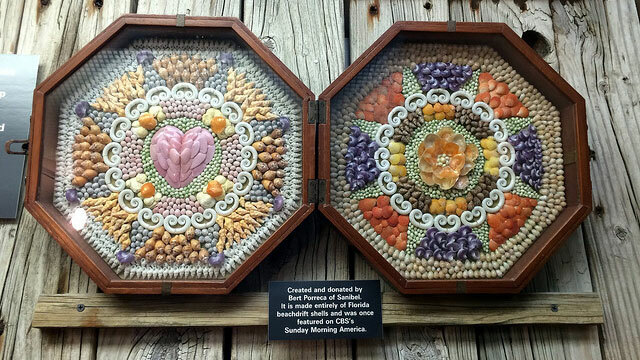 Pictured are sailors’ valentines made entirely of Florida beachdrift shells. Sailors’ valentines were developed by women in Barbados and other areas of the Caribbean during the early 19th century and were often brought home by sailors for their loved ones. Photo Credit: “Sanibel Island – The Bailey-Matthews Shell Museum” by Jared/ CC BY. Sanibel Island is famous for its soft, sandy beaches and hordes of seashells, but did you know it also has a museum dedicated to shells? Exhibits showcase creative art murals, collections from around the world and record-sized conchs. Visitors also can learn about the rich history of Florida as they take an educational journey through the Fossil and Original Shell People of Florida exhibit at the museum. 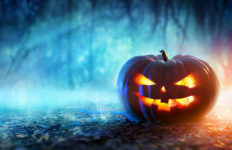 Adult tickets are $11 and children pay just $5. Herzog writes for FORWARD Florida and continues her studies in mass communication at the University of Central Florida. She also has experience in social media advertising and marketing.